Christmas and New Year’s Eve are 2 of our favorites celebrations, for the young and the old alike. Like every year, a variety of events with a Christmas spirit occur in Athens. From events to Christmas walks in the city to famous spots like the Acropolis and Plaka, visit our famous Ermou Street for your Christmas shopping therapy, try our delicious traditional Christmas sweet foodies like Kourabiedes, Melomakarona & Diples and go wild afterwards and join Athens nightlife or…relax and enjoy Athens lit by night from the famous Areios Pagos Hill… Athens is just as captivating in the winter as she is in the summer and here in AthenStyle we chose some of the best things to do for these winter holidays! The Nutcracker is the St. Petersburg’s Ballet Theater of Russia at the impressive Christmas Theater in Athens, located at the Olympic Stadium of Galatsi at Veikou Avenue 137. An enchanting tale of love and magic with stunning choreography it is known as one of Tchaikovsky’s most famous compositions, which is of no surprise given its stunning score. Athens is an ever-popular destination for history and archaeology and Christmas is no exception. The beautiful areas of the city center like Plaka and the Cycladic Anafiotika, with Christmas decorations adorning the streets and local establishments. From the hills of Athens and the majestic Acropolis itself, the views of the city are truly stunning and the milder winter weather provides perhaps a more comfortable temperature in which to walk the many archaeological sites that Athens holds. Shopping in Athens is an experience that should please just about anyone. Whether you’re after department stores and brand names or beautiful boutiques and antique markets the city has plenty of opportunities for shopping therapy. Known as the busiest shopping street of the city is Ermou Street running from Monastiraki Square to Syntagma Square. The Christmas Factory is easily the crowning jewel of Athens’ Christmas events located in Technopolis, Gazi. Accessible from the city center by metro (Kerameikos Station, blue line) the Christmas Factory is the very center of the city’s Christmas celebration. With everything from live shows, workshops, foodie stalls, carousels and Christmas gifts. At Christmas, it has to be said that it is those with a sweet tooth who will be most delighted. Head to one of Athens many bakeries and you will find traditional sugar dusted Kourabiedes and honey-drizzled Melomakarona or for a crunchier taste you can try Diples dipped in honey with cinnamon or walnuts. Nights & Nightlife of Athens is spectacular. The areas of Plaka, Psyrri and vibrant Monastiraki, where AthenStyle hostel is located, never fail to please while the golden lights highlight the magnificence of the Acropolis, Areios Pagos, Philloppapou Monument and Lycabettus hill. Athens is certainly not short of Christmas attractions. In Syntagma Square you will find arts and crafts in the spectacular view of the Greek Parlament and of course the highly anticipated Glasshouse Project at 29th and 30th of December. In the National Gardens of Athens and Kotzia Square, there are Christmas themed events and workshops. Athens’ Street of Lights is a famous spot and it is located just a street away from AthenStyle Hostel, you can enjoy mesmerizing views at night, illuminated by hundreds of hanging lamps and enjoy stunning small Christmas shops offering a big variety of eatables like sweets, snacks, drinks and many more. After a satisfying long, warm and full of new experiences summer, winter is just around the corner and here in AthenStyle we got you covered for another year! It is the perfect time to visit Athens if you don’t want to wait in the queues of the museums and sightseeings, enjoy your coffee under the (still!) warm sun and explore more conveniently the city of Athens! Book your accommodation with us and enjoy our winter special promo deals starting from the 1st of November until the 28th of February. 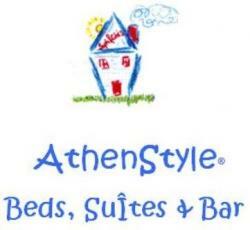 During this period of time, AthenStyle guests, staying for 3 nights or longer, will have the opportunity to enjoy discounted prices on our dormitories starting from14eur/night as well as in our private rooms starting from 21eur/night/person! Also, do not forget our amazing Rooftop Bar with the breathtaking Acropolis view, which of course remains open every day from 8am until 12 midnight during this period!